Because Williams syndrome is known as a “genetic condition,” some might think that my husband and I carried it in our genes. On the contrary, Williams syndrome results from a completely random event (a deletion of a copy of certain genes that occurs when a baby is being formed) and, therefore, it could happen to anyone. My husband and I had never heard of Williams syndrome before, and no one in either of our families has had Williams syndrome. Likewise, there wasn’t anything that we could have done to stop it from happening to our daughter. When we first found out, the diagnosis sounded daunting and scary. Now that we know Emmy better and have met many individuals with Williams syndrome, we have embraced the diagnosis fully. Individuals with Williams syndrome have MANY wonderful characteristics. They bring much joy and love into the world with, most notably, their beautiful smiles. The Williams Syndrome Association (http://www.williams-syndrome.org) has been an invaluable resource for us. 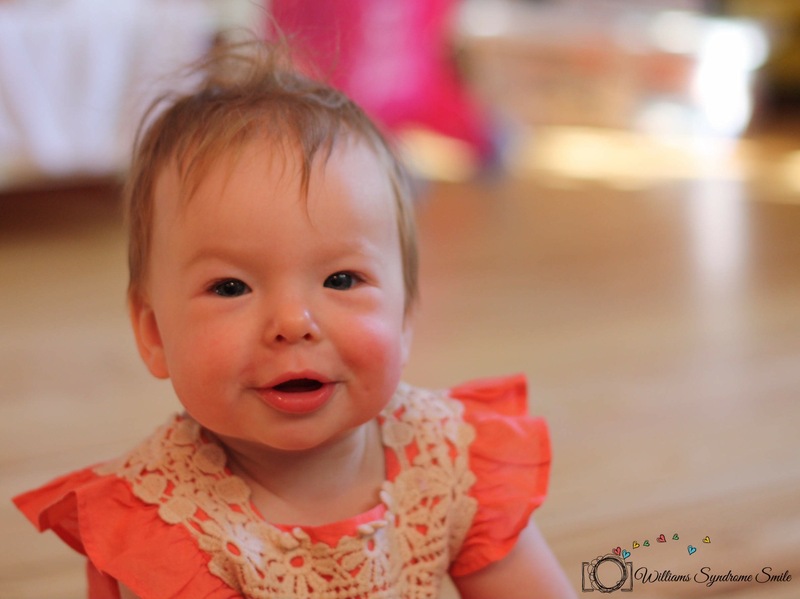 “Williams syndrome is a genetic condition that is present at birth and can affect anyone. It is characterized by medical problems, including cardiovascular disease, developmental delays, and learning disabilities. These occur side by side with striking verbal abilities, highly social personalities and an affinity for music. I don”t see where she looks any different from a baby w/o WS she looks just as beautiful as a baby w/o i still don’t quite understand the disease in the way its suppose to make the ppl with it features different on sight alone I can’t tell. I will say this she is beautiful. Thank you so much for your comment! 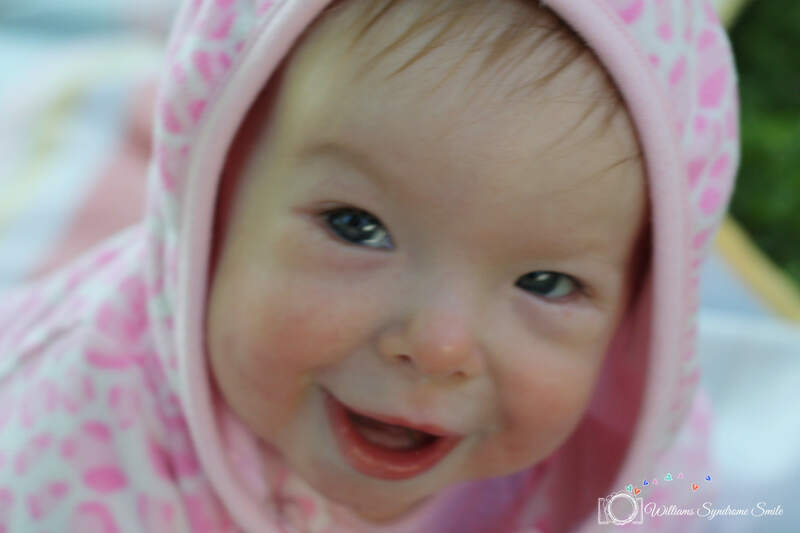 I agree that Emmy looks like a typical child, and most people probably wouldn’t notice that she has a syndrome upon seeing her. Usually, people comment that she looks younger than her age, because she is quite small. But they generally don’t notice anything different about her facial features. Now that I’ve come to learn so much about Williams syndrome, I can see it. But I never would’ve been able to tell before. People who have Williams syndrome are missing a copy of the elastin gene. And just that missing elasticity affects both their health and facial features. But, I agree that she is beautiful. 🙂 Thank you so much for visiting my blog!